Jim Carrey stars in the hilarious comedy about a man who decides to say "yes" to everything, instead of saying "no" all the time, which had left him depressed and alone. 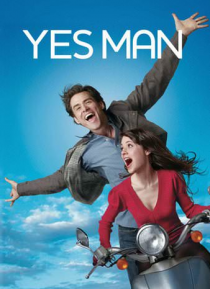 Now, as the "Yes Man," he finds himself leading an exciting life, traveling the world meeting interesting people, and along they way finding romance. Also starring Bradley Cooper. Directed by Peyton Reed (THE BREAK-UP, BRING IT ON… ) and produced by David Heyman (HARRY POTTER franchise) and Richard Zanuck (CHARLIE AND THE CHOCOLATE FACTORY, BIG FISH).